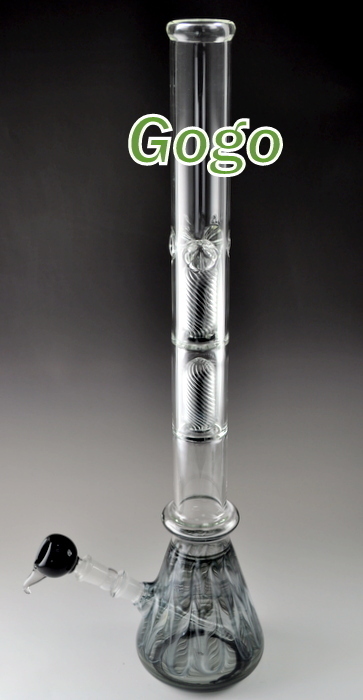 The BigThunder triple perc glass on glass water pipes with 2 chamber of perc. Pros: Hits like a champ. Percs make it super smooth. Plenty of bubble wrap in packaging. Lots of room for ice. Cons: You're going to need a screen for the bowl they give you with the pipe. Comments: Dodoglass is a great site. I love my new pipe! Pros: Looks amazing, percs are awesome, super smooth, very little drag, enough room for at least 5 ice cubes. Should cost way more got it with shipping for 176. Comments: Order it, I love mine. Pros: This piece is AWESOME. I opened and used it as soon as it came in the mail. Smooth hits every time. Very little drag. I got mine when it was $99.99 for a little while. Great deal.